As an avid ice climber, I am excited about the sport’s growing popularity in the mainstream. I’m not excited because of the crowds at popular ice lines, but more so about the progression of ice climbing specific clothing that is coming out of the woodwork as a result. This year, I had the opportunity to put the Outdoor Research Iceline kit, pants and jacket, through the wringer (read iceline pant review here). I’ve been romping in the kit since the start of the season and have worn it every day out on the ice. The jacket has proven to not only be water resistant in flowing waterfalls (oops), but also blood resistant when you bring a plate of de-lamed ice down to your face (oops again). These are two key features for a go to ice climbing jacket, as it turns out. The Outdoor Research Women’s Iceline Jacket is composed of waterproof fabric exclusively in areas most exposed to the elements – shoulders, chest and hood. Stretchy fabric panels spanning from upper arm to waist allow for you to hack as you will at the ice, without the jacket creeping up from beneath your harness. A helmet compatible hood takes this jacket from ice cragging to long days in the alpine. The fabric backing consists of polyester grid fleece, enabling temperature regulation on the approach. As part of the winter #ORInsightLab crew of dedicated testers for Outdoor Research, I was provided a Women’s Iceline Jacket to test. For reference, I’m 5’8″, 135 pounds with an athletic build (32″ chest, 27″ waist, and 37″ hips) and I tested the Iceline Jacket in a size M (size chart). Bottom Line – The Outdoor Research Iceline Jacket is the go to outer layer for ice climbers. Pockets – Two internal mesh catch-all pockets are perfect to warm up your wet pair of gloves between pitches. Two external higher set hand pockets are harness/hip-belt compatible. Two zippered napoleon chest pockets with mesh backing to allow for venting. Heat pack pockets at wrists! Outdoor Research knows how to do pockets. Two-way zipper – High quality YKK zipper, really nice if you are throwing this over a harness and want to reveal your belay loop. Weather resistant – Taped where it matters, sheds water (and blood) and shields wind. Incredibly warm. Warmth – Polyester grid fleece on the inside of this jacket allow heat and sweat to be removed from your skin, regulating your temperature on the approach and the climb. Helmet compatible – Wire brimmed hood fits over a helmet and sits lower at back of head keeping the hood locked onto the helmet for ease of peripheral vision. Winglike movement – Stretch panels ensure minimal shifting when you swing high. Molded hook and loop cuffs with velcro closures – Helpful in fitting jacket over cuff of gloves. 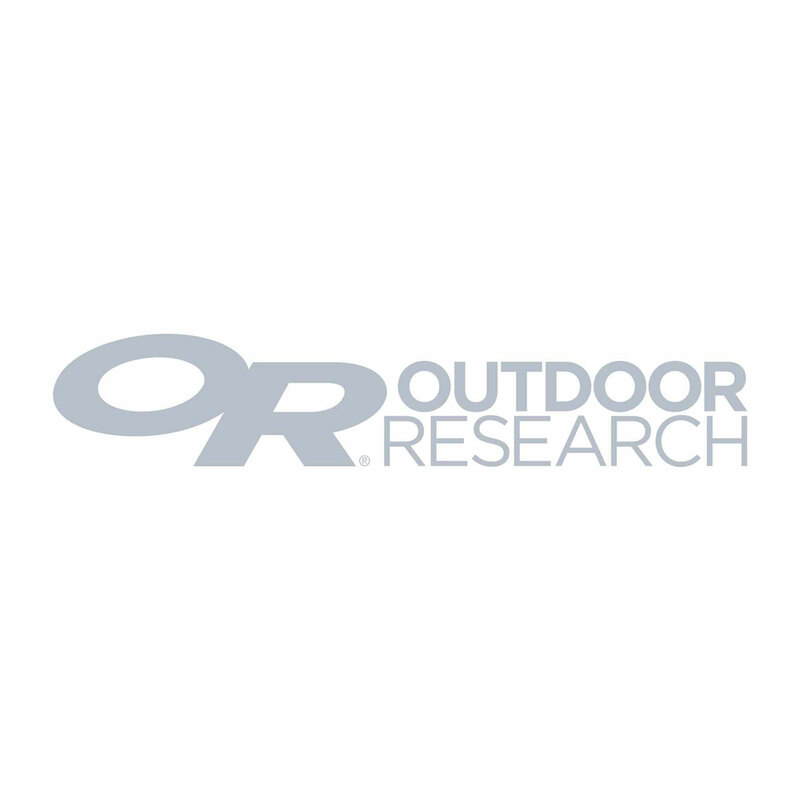 Addict Disclaimer – Thrillseekers Anonymous was provided with the Outdoor Research Iceline Jacket for this review. The opinions expressed above are my own and reflect my experience. No one can buy my love!